We are very fortunate to have a great bunch of summer workers to help us with preparing for the Center for College Readiness’s AP Summer Institute and doing research for our Center for Philanthropy and Nonprofit Leadership. From left, Meron Fessahaie, Nicole Estrada, Chris Sanchez, Danielle Brown, Aurra Fellows, Dimitri Mayes and Reid Geissen. “Our summer workers are essential to the success of the AP program. They are what sets us apart from the other AP Workshops throughout the country, by providing outstanding service and support to the AP lead consultants and teacher participants,” Manager of Operations Czolgus Evans said. 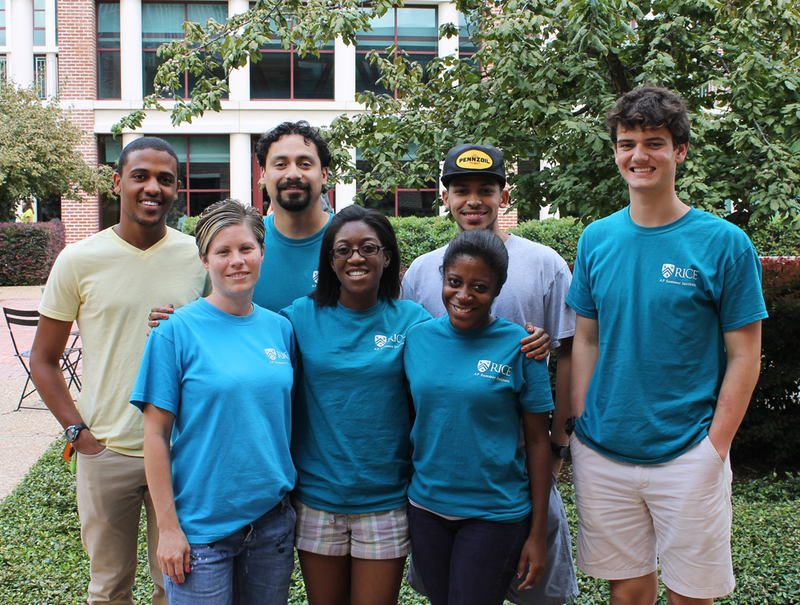 Our AP summer workers are Chris Sanchez, Danielle Brown, Capra Fellows, Dimitri Mayes, Meron Fessahaie and Reid Geissen. Luckily for us, we keep Aurra Fellows, Gina Gonzales and Nicole Estrada to help us year-round. Rachel Poppers is interning for the Center for Philanthropy and Nonprofit Leadership and will be graduating from Rice in 2014. “Rachel has been a vital addition to the Center this summer. She is primarily focused on conducting research that will help the Center strategically market courses and programs to nonprofit professionals outside of Houston and beyond Texas. 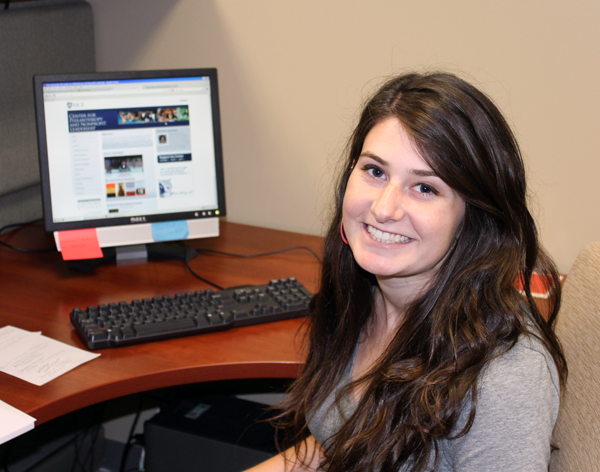 In addition to market research, she also helps develop content for our website and social media technologies. We are elated to have her on the team,” Program Coordinator Shannon Raffetto said. Thank you to all of our summer workers! This entry was posted in Center for College Readiness, Center for Philanthropy and Nonprofit Leadership. Bookmark the permalink.